This platform is easy to use. We have to maintain our brand standards over 30 states, and this tool helps us do that—keeping a consistent brand look and feel. The things I dislike about the software are minimal—and, I've noticed through time, those issues are being resolved as upgrades are being implemented. It seems like some software "extras" would be included in the cost--such as business reporting. So not a fan of "extras" or add ons as we are most likely not going to be able to afford them. There is a learning curve for implementation. If you know HTML, all the better! Would do it again, but would allow a bit longer time frame for set up. Access to professional design without the cost. We have been able to implement a consistent brand look and feel across our franchise system. We have print tools, social media tools, a storage system for other branded materials. It is our repository for all things having to do with our brand. "The Marcom Central tool has saved our marketing and sales teams countless hours!" We have the opportunity to administer the tool in-house. The opportunities are endless and our sales teams love the tool! There are so many things that the system can do; finding the time to explore and understand all of it's capabilities is a daunting task! Implementing this tool - especially if you are just starting out can be a pretty time consuming task. For this tool to be successful it's imperative that the company is dedicated to allocating resources that can spend the time to make is successful. Implement the Marcom Central tool has saved our marketing team countless hours of time spent customizing materials and by giving our sales teams the ability to create their own materials on the fly. Sales teams are happy because they get their materials in minutes vs. days and can quickly react to the needs of their customers. Marketing is happy because sales is using what we've created! Compliance is happy because we have proof of the materials we've made available and can track who/what is being used. "Very pleased with Marcom for hospital brand management system"
I love that the system is pretty flexible, so we were able to create a system that works exactly the way our organization needs it to. It's really helped get everyone on board with our new brand! We also like that we were able to add links to other brand-related websites (like our logo wear store and marketing project request form) into our Marcom site. The custom templates are also an excellent solution to our employees making their own materials. It's also been nice to be able to pull in different print vendors and assign specific products to those vendors. I've also been very pleased with the customer service and helpfulness of our account managers. Some of the features aren't very intuitive, and we sometimes struggle with bulk uploads. That is likely user error, though. We've also had some challenges with catalog assignments. Sometimes we'd like to assign a specific user to a product (not a whole group), and unless we create a group for a single user we're not able to do that. Prior to using Marcom, our hospital was completely inconsistent with branding, ordering materials, working with marketing, etc. With the system, we've created a one-stop shop for our employees to access materials they need, branded appropriately. And if they can't find it, they can create it or request it. Marcom has really streamlined our materials creation and ordering process. "My experience had some bumps along the way however Marcom Central listen and responded effectively. " The reliable customer service. It took use two or three business relationship managers before we were comfortable with how the project moved forward. What was the biggest help was having a BRM on the east coast in the same time zone. All to say MC listened to our difficulties and worked to find a viable solution. The system is more complex to use from a backend perspective than anticipated. When presented the system our user experience was extremely important. I only wished I paid the same attention to the backend as well. Ask for a BRM in your time zone. Get a full back-end presentation and how products uploaded and published from indesign to fusion pro, to marcom central so you have a full picture. Ask questions!, they have and are willing to share to make sure your team is successful. The easy to navigate user-interface as well as the support and business solutions provided by our business relationship manager. Templates have been slightly more difficult to create and not as easy to navigate for a user than we had expected, but as part of a learning experience, we and our users have caught on. I am a member of a healthcare marketing team, responsible for supporting 5 hospitals, 30 clinics, 7 urgent cares in their marketing and communication needs. Before Marcomcentral, we did not have a database for marketing materials and our team had been bogged down with creating one-off, custom pieces for every request. With Marcomcentral we are able to standardize and our users are able to easily search through existing materials that might fit their needs. The templates empower our users to create their own materials and to think strategically, and has allowed us to get some work off of our plates. MarcomCentral provides us a one-stop platform for all of our marketing assets which were previously stored on multiple sites hosted by third party vendors, internal company Intranet, Sharepoint pages, etc. We anticipate greater usage of these pre-approved assets by our branch locations once they are centralized for greater visibility and easily accessible. As we work through our implementation project, the site is looking great - but getting there is more work than we anticipated and has taken much longer than anticipated/promised. We are running up against one year. Of special interest to us were the 'versioned' or customizable materials and it doesn't just happen by magic. Setup is a process. We believe this will be a leap forward for us but nothing is simple. There is work to be done yet on responsive design and ease of use. We will benefit from much improved centralized access, brand control, customization and personalization of materials. We are also able to utilize our preferred vendors for fulfillment on the back end. "Great Solution For Brand Consistency "
The end user experience is very simple and clean. Works just like an online store so there are no special skill needed for to use(end user). Once launched the product is scaling very well to our system. Customer support is generally very responsive and our BRM takes great care of us. It can be difficult to find documentation when troubleshooting. The online help section in the admin tool is almost useless. The cost is a bit high for smaller business, especially if you want all the bells and whistles.in my opinion. We are using it for Brand Consistency, Local Marketing, and for housing assets. We have learned how to utilize reporting to show where we should be focusing based on products ordered or assets used. "MarcomCentral helps our Lending company save time & ensure compliance." MarcomCentral has an incredibly helpful customer support and business relationship team. Their assistance makes using such a large system must more seamless than I would have initially assumed. Capabilities on how the system operates are often limited to how the system was designed. Some of our requests couldn't be accommodated without the need for costly custom engineering. Make use of your provided Business Relationship Manager, they are a wealth of information and support. We are solving the issue of creating marketing material on a case-by-case basis which was incredibly time consuming for our entire marketing department. We can also use the library to hold templates which we have already been issued approval by our compliance department. The front end is dated and needs work (but the good news is, I know it is in the works). I'd like to see a modern-looking, responsive front end with more customization options. I also think they need to re-think their carrier shipping integration (FedEx, UPS, USPS). I believe they use a third-party system but it's buggy at times. I'd also like the ability to create new sites on my own. Currently, you have to open a support ticket and wait for someone to set it up for you. And if you want to use a custom URL (www.yourwebsite.com) you have to pay an extra fee. There may be other systems out there that look "newer", but MarcomCentral has been around for a long time and as a result, they have features that even the newest systems are lacking. For example, the Requisitioner model on MarcomCentral is unmatched by any other system I have used. Another example is their FusionPro variable data platform. Private-branded B2B sites allow our clients to quickly order printed items, pick items, promo items and inventory. Brand consistency is guaranteed. Clients are happy. We've integrated all of our Marcom sites with a custom workflow management app which ties into our production and shipping process, allowing us to process more orders at once and reduce turnaround time. "Easy-to-use platform enables efficient marketing distribution & brand control"
The ability to distribute a wide variety of marketing assets to a large audience of both internal sales people and external customers, quickly and easily, while maintaining brand control. The reporting allows us to get a sense of our effectiveness and productivity, enabling smarter decisions going forward. We get a clear picture of what people are using and how often, and can message to that in our promotional emails for the site. We are serving our internal and our external stakeholders with our platform, and they appreciate how their feedback is addressed (what marketing assets they want/when) and how we make their job easier and in most cases, save them time and money. The platform is a bit challenging for the admins to use to upload content - especially if they're not doing bulk operations. The time it takes to click through all the screens, and wait for everything to refresh/save, and then to change all defaults to the appropriate fields, is a bit of a drag. I don't personally load/edit content on the admin side, but watching my team do it is a bit painful. From a customer-facing perspective, we wish that the "next page" feature (that more assets can be found on pages 2-X of the site) was a bit more obvious, as we have users that say "I only see 8/10/12 items on the page" when we know we have 40 or more items loaded. We also find the labels on "digital delivery," "view file," "generate file" and others like that are confusing - that step/screen is the most frustrating for our internal and external users as it's not clear which they should be choosing and why. We've been working with our reps to make this better, but it's still not easy (especially since some of the changes have to be made across the board, and that doesn't always make sense). Ultimately, the things we dislike are pretty minimal - and most are on the backend for our admins. Our users, when they finally listen to us and go visit the site, are pretty happy. Having a dedicated team that can focus on this will greatly increase your success rate and your ability to manage the platform. It's not necessary but ideal. Saving our creative teams time and money - less one-off requests for customized materials. Providing great customer service to our end users - making their job easier and allowing them to be our brand ambassador without having to recreate/generate their own marketing materials. Saving our sales team time and money when it comes to custom shipping with the print services turned on - we'll see an ROI at year-end as it relates to flyer printing for sure, and we have a clearer picture of the spend, too. Our brand consistency is stronger in market since we are providing tools to enable our materials to be customized by customers across the country. Reporting allows us to provide senior leadership a sense of the marketing activities of our sales team and customers, which supports a broader story of engagement and support. "Great Product for Brand Protection and Managing Marketing Collateral"
How easy it is to manage products and users with the bulk operations. You can very quickly create, edit and remove large volumes of information. Fusion Pro templates are capable. If you are looking to manage marketing collateral for B2B customers this is the right solution. It is great for asset management, print on demand materials, and finished goods management. It is still a differentiator for us. We are able to streamline relationships with customers and solve their internal challenges making us a valued partner. Our customer retention with those that have invested in a storefront solution has been stellar. "Powerful product once you pass the learning curve"
The flexibility of the product. We began using MarcomCentral Enterprise Edition in a very limited capacity however as we got more comfortable with the software, we realized it's full potential. Usability of the administration module. This is a symptom of the flexibility described above. Because there are so many options, and configurations, there is a high learning curve to master the product and it's full capability/potential. The only way to master the tool is through hands on, trial and error. 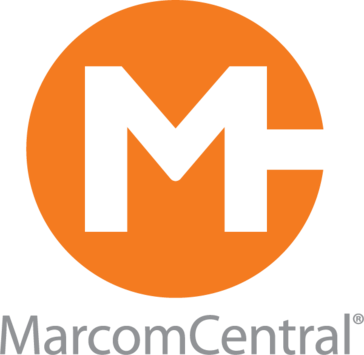 We are using MarcomCentral Enterprise Edition as a self-service resource for our clients. Our clients are the Human Resources Professionals who want to communicate the Doctor On Demand benefit to their employees. Via MarcomCentral, our customers can customize and cobrand materials. We also use MarcomCentral to distribute monthly reports to our clients. These are DOD reports regarding the client's use of the DOD service. MarcomCentral has allow us to reduce operating expense associated with Marketing and Account Management. "Marcom makes marketing for our company easier! " It is easy for our clients to access and create their own marketing, and the support staff is excellent at helping us with creative solutions for our needs. Sometimes the system is a little clunky to use, for example the templates don't populate in real-time which sometimes frustrates our users. I would absolutely recommend MarcomCentral as a solution to marketing needs, especially if you have the need to distribute personalized marketing material to a lot of people. It's an excellent resource for our clients to be able to access marketing material and personalize it to them, and it makes it SO easy for us to be able to provide that to them. It's definitely a solution worth examining to see if it is right for your company. Marcom is a HUGE asset for our marketing department. We have so much marketing material that has to be customized for each person in our company, it saves our designers a significant amount of time as well as the clients using the system because they are able to go in and choose/create their own marketing. On almost all fronts it is simple to use, so even the most inexperienced users feel like they can access materials. "Great product and features, frustrating technical support"
We have researched many marketing collateral automation products and have found that Marcom has the most features and adaptability. The Fusion Pro software and the interface with InDesign is very good. There is so much functionality with the Enterprise Edition - I feel as if I have only scratched the surface. It is also frustrating because there is not an easy way to identify the full benefits of the Enterprise Edition. I feel that there is so much I don't know about the capability and not sure where to fin out the information I need. Often time I will work on trying to set up a particular asset or design - only to be told that there was an easier way. Support is also frustrating - not always timely and responsive. Our Customer Rep has also caused some frustrations with not providing us with full solutions, not being timely, etc. Make sure you have the IT resources to maintain and implement the Enterprise Edition. It is almost impossible to find consulting support for FusionPro and the Enterprise Edition. It can be very costly to have development and maintenance through Marcom. The product itself is very expensive - so adding on tech hours can decrease the overall value. The training is limited and the self training modules are limited and confusing. We are able to help our customers access marketing collaterals and documents in an efficient and timely manner. We have increased revenue and customer satisfaction. "MarcomCentral - Flexible and Functional"
The MarcomCentral platform allows our company to assign different, oft times overlapping, user groups. This is a tremendous asset because we can present only the documents specific to individual user types - this means they are not overwhelmed with viewing all our content (which is vast) and are able to easily drill down to the product or asset needed in the moment. Our customers notoriously avoid reading the fine print, which is important and relevant when requesting certain assets from the repository. The area for instructions (aka: fine print) is accommodating with respect to character allotment but typically to small, or too much text for our customer to bother reviewing. Would like to see pop up windows that allow for customized instruction/warning per field along with pop up on the 'order' option that provides an opportunity to give additional instruction for the 'download' or 'email' option. Excellent sales and service team. The repository delivers everything promised and the Marcom team listen and note improvement suggestions and actively act on accepted new ideas. We are able to not only house marketing assets in the repository but also replace our in-house supplies, forms and instruction manuals from our server on to our employee based platform. "A useful tool with much potential"
The ability to create customizable content is very useful for our marketing team who supports 70 branches around the US. It provides a one-stop-shop for our field colleagues and eliminates minor requests and print orders, allowing us to concentrate on larger and more lucrative marketing efforts rather than inefficiently processing field requests. The UX/UI needs significant upgrades. It is less than intuitive, rather cumbersome, and the creation of versioned content is needlessly complex. FusionPro's interaction with InDesign has been a source of much frustration on my end. The inability to change an existing static asset to a versioned asset is frustrating. Sharing asset listings without the recipient getting an error message due to some URL detail seems like an easy fix. If the digital production and IT issues are resolved this platform has the potential to be great. Learn and master the creation of versioned content early on, and decide on what you will want customizable before you create any assets so, when you do start, you will stay consistent. Organization of our thousands of unique marketing pieces. Automatic asset ordering at the field level, freeing our marketing team up for higher order marketing projects. Customizability of assets is the key advantage. The user guides and other documentation need to be kept up-to-date and expanded. There is a huge gap between the basics that are taught in training, and all the fiddly quirks that come up in actual template development. The forum is a great resource for this kind of stuff, but I would really like to have a source for information and support that doesn't depend on guessing the right search terms to locate a post in which Dan Korn explains how things secretly work and gives us the workaround. Likewise, the new support site *looks* really nice but it is hugely lacking in the information that was on the old help site. The imposition app's rotating and bleed-collapsing functions are so buggy I've started avoiding using imposition files for things more complex than "put this in the middle of a bigger sheet of paper." We're solving the problem of distributing properly branded marketing materials to affiliates, and this does indeed work a lot better than "here's some InDesign templates to download, hope you have InDesign, don't change things too much!" "Easy to use - end result looks great!" I love how easy Marcom is to navigate! Not only is the back-end user friendly, the front-end makes it easy to navigate for our users. The overall look and feel is great! There is so much we can do with, the possibilities are endless! My one complaint about Marcom was the initial setup. We did a lot of things blindly prior to going out for training. I truly believe we would have set things up differently had we known the entire functionality. Going to training, and then setting things up would have saved us from some headaches. The main issue we had prior to MarcomCentral Enterprise Edition was that so many of our locations across the country were taking their marketing into their own hands. Things weren't consistent when it came to branding. Have a central location for everyone to easily get our branded items works great! I like the fact that MarcomCentral helps to both expedite and enhance our print and digital collateral production process. It ensures that our fast-paced production needs are met and that the marketing collateral created by our marketing team is professional and on-brand. I dislike the fact that the templates can be restrictive at times, as well as somewhat glitchy, resulting in longer project turnaround time and the need to entirely redo or resubmit project -- essentially defeating the purpose of the tool itself. Do your research, compare competitors, and see if you can complete a trial before purchasing. We are able to empower our field marketing team with the ability to produce their own marketing collateral as-needed, thus, avoiding a bogged-down production process. We have noticed that project turnaround times have been reduced allowing us to meet deadlines, as well as ensure all collateral is on-brand. "Marcom for B2B marketing asset management"
The on-boarding team is exceptional! They work hard to make sure that you hit your dates, and make sure that you have what you need to be successful. The fact that the entire site is not built for mobile, and the lack of REST services. From an IT point of view make sure there is a good understanding of the mobile solution. That the APIs match what you expect to need. If you wanting to implement SSO, that you understand how that will work. With that said they are flexible, and willing to improve their system to meet your needs, but you may have to pay for that custom improvement. We are needing to get approved marketing assets to business partners, and to be able to manage assets that expire. The time to launch has been fairly quick vs other attempted solutions. "Great tool for marketing assets management"
Great tool to manage marketing assets, but the best of it is the excellent customer and technical support. The availability to customize assets has been vital to streamline assets distribution and to help the organization to keep on brand. 2 main limitations: creating direct links to products has not been possible and responsive site has not been possible. Our portal continues using flash to preview products, and it has not been possible to implement the html5 alternative. It has helped us to streamline the distribution of graphic assets to a large group of organizations and has contributed greatly to keep our brand standards aligned. "One of the Best Creative Asset Management Tools on the Market"
One of the biggest frustrations for marketing teams (be they client-side or agency-side) is managing creative assets. In fact, this is often something that's glaringly overlooked by most project management platforms (which are often great at tracking resources, but not so great at dealing with file sizes). I've used a ton of different asset/project management systems over the years, and MarcomCentral (the Enterprise Edition version) is still one of my favourites. Users can easily see and share assets, make revisions/markups and I loved the "check list" style user interface that lets you see exactly where the assets are in the production pipeline. In my opinion, it's still one of the best asset management tools on the market. Honestly, there wasn't much I didn't like about this tool. One slightly annoying element was the email reminders (which can flood your inbox if your not careful), but that's a minor quibble (and something that can be adjusted within the user settings). If you're looking for a tool that allows you to share creative marketing assets with a large team (be they in sales, management, ecomm or marketing itself) this tool will do the job. It's a workhouse and something that I have no doubt offers a serious return on investment for enterprise level users. Sending/sharing assets among team members on large projects. I can honestly say that this tool saved time (and probably money for the company) in terms of creating a more streamlined project pipeline for the marketing team I was a part of. I really like how I can quickly find our graphic assets and download. Sometimes I use a different computer and do not have access to some design files saved on our servers. This is a great solution. It is a little tough to create graphics that are customizable for our field to use. This feature hasn't really taken off in our company and I believe it is an opportunity missed. We are solving our branding problems. Our field used to use our logo and other brand assets incorrectly. This has solved a lot of those issues. "I have worked with the Marcom Admin Portal to load resources to our “Resource Center.”"
I like the fact that the portal is not too complicated to use to load assets to our website. I also like the “bulk upload” option for loading multiple assets at once. I dislike the fact that you are unable to delete a product from the portal (marking it as inactive is not the same as deleting, but it helps). Also, I dislike the loading process of having to add a Product, then a SKU, then adding the product to the catalog. I wish there was only one step for loading assets. We are providing our independent business owners the tools they need to build their business. The site we have set up is beneficial to those who use it because it is a one-stop shop for their resources. "Fantastic BRM despite software struggles"
We had a rocky start with Marcom. Once we were switched to our new BRM Betsy Pryser things began to brighten. Betsy was able to set us right when we stumbled. She helped us to find work arounds when Marcom did not meet all our needs. She was great at explaining the limitations and how we can get the most out of the system making it work for all our clients not just one department. We were told Marcom would replace trac as a custom job submittal tool. However the job direct products are very difficult to manage and pricing is very convoluted. Trac was much better suited to the general copy center needs when it comes to custom jobs. Marcom is however very helpful when it comes to simple static item fulfillment and templates that can lessen the need for typesetting. We do struggle with getting customers to use the system as they often say it is difficult and confusing. This works well for simple product fulfillment however job direct has a long way to go before it is easy to use or administer. I would love to be involved in a focus group to help explain all the pain points which if fixed could make Marcom a strategic tool for many. We are going to use Marcom to allow overseas plants to download artwork for properly branded print items to lessen the rogue branding currently happening. Additionally we are using Marcom to control literature fulfillment and charge back costs to our customer. Working with my BRM at Marcom is always a pleasure. All interaction I've had with the Marcom team has been positive - they are friendly and easy to talk to. Learning the software has been a long and challenging process. Because it is so complicated, it is not easy to train another person to be my back up, so I'm essentially the "marcom" person. I spend a lot of time working on templating and adding assets and then having to go back and make corrections or adjustments when things go wrong. We have been able to provide our users with customizable email templates, which they really like. We also are able to track what assets are being used and by whom, which is useful. Marcom Central has really helped us to centralize our branding. We've never had a centralized system before for people to order marketing materials. It has really helped us stepped up our marketing game and I think elevates what we do as a department. We have also gotten great feedback on how easy the system is to use, especially the customized materials. It is a little tedious to upload items sometimes and I think there could be process improvements made there, but overall it's pretty good. We are solving the problems of people printing things in ways that we don't want them to and having them design things on their own. This is helping us to keep things on brand. This is a user-friendly way to manage the creative options to a program of over 150 individual offices. I like the speed with which I can add and remove products. Using spreadsheets to bulk upload anything can be a bit time-consuming, especially since the spreadsheet requires I remove any entries I am not making edits to or the sheet is rejected outright. I also wish there was a way to allow users to change their profile information but require approval from admins before it goes live; this would be quicker and easier than having to maintain their accounts on the backend. We are providing a comprehensive catalogue of creative to our local offices and ensuring everything is brand-appropriate. "You really can say goodbye to one-offs!" You can truly make this product do whatever you want it to. I never thought that a product could REALLY eliminate one-off requests, but if you spend the time to build your templates the right way, it does. Fusion Pro is brilliant. It can take awhile to build your templates out so prioritize needs. This product removes the one-off request element while also preserving brand identity standards. I find Marcom to be very efficient when supplying assets for them to upload to ad builder. There teams are always very helpful with any questions we may have on our end. Even when a turnaround is tight and we are getting pushed by the client to have assets up they always seem to be able to deliver. As of now, I haven't had much of a problem with there current process and i think its working well on there end. Clients have never complained about any assets getting delayed on uploading to ad builder. One thing I would change is when supplying assets for ad builder we don't receive a response until a day or two later. This sometimes is an issue as clients usually want confirmation on when these assets have been delivered/received. I also wouldn't mind receiving a confirmation when assets are live on ad builder. There has been times where I don't receive any word if the assets are live. It would be great to be able to share these types of updates with the client. We don't primarily use the MarcomCentral Enterprise Edition but we do work with there teams on delivering assets to ad builder for our client. It is beneficial that we work with them since on our end we sometimes don't quite understand how ad builder works and what is needed to get assets up there and running. Marcom team members always supply useful and clear direction on what is needed for this to be accomplished. Our teams are usually on the same page when it comes to the client. Having a great understanding of our client and our scheduled timelines helps us work seamlessly with one another. As we are the last two companies in the line of production, we often are rushed to complete our work in a very short period. We work to our best capability and keep each other in the loop in order to achieve the best possible results. We present the Marcom team with packaged assets, as well as a readable PDF with highlighted variable information for the Marcom team to properly code. I have yet to have a bad experience while working with Marcom. The only hard time we face is our tight timelines. However, working with Dana makes things very easy and we are able to present the best possible results to the client once taking into account the short timeline. As long as you are an organized worker, you will have a breeze of a time dealing with Marcom. My company partners with Marcom to code and upload assets to AdBuilder. This is very convenient for our company as well as the client as it reduces costs and increases efficiency. This prevents us from having to build multiple ads.
" Great product with many capabilities to implement in the business field." this is an ideal software the way our sales department can access, customize, order and distribute our marketing material and when you have doubts about anything, the support team is wonderful and we know we can access at any time. It's pretty cumbersome on the backend for admins to upload and create new material. It is quite beneficial because it allows many users to access marketing materials in a central location. It is easy to use. "Why We Chose MarcomCentral "
We needed a vendor who could accommodate multiple business units all with varying marketing models (e.g. some are all digital and other do more printing). MarcomCentral was the only vendor who demonstrated they could enable this; even down to the point of how SSO could be utilized. BI Tool: Superior reporting and analytics capabilities that outperformed all other competitors reviewed. Ability to tracks asset usage and how user optimized content. Asset Upload & Customization: Proprietary application for uploading dynamic print materials. Endless customization and rule sets can be added. While MarcomCentral has APIs for ESP integration, they had not configured our specific ESP, IBM Marketing Cloud, prior to our installment. They have done Marketo, Eloqua and Exact Target (Salesforce Marketing Cloud). We reviewed 9 providers in depth and MarcomCentral was the only one who met all of our requirements. The MarcomCentral team went above and beyond to help us identify how we could cost efficiently utilize their platform across multiple business units, that all had varying marketing models. MarcomCental enables our clients to easily access marketing assets, that promote our products, and customize them for their end customers. I like the flexibility in the self-service structure. The timing issues we face in terms of which items and components we share on marcomcentral are made very easily here. The web based access makes it easy to travel and work wherever, and the app works without flaw, at least on my computer. Customization is a big plus too. Takes a little time to make items due to UX, and the rich text editor is a little limited, but I'm glad it's there. I think the production time has been sliced for the entire team in marketing. The extra time saved is great and makes the job much easier for everyone.
" Easy implementation tool to maintain access to marketing assets at all times"
I like that it provides access to updated marketing assets at any time. With this, the Sales department can locate, customize and quickly distribute the target marketing assets on demand, without sending a request to the Marketing department. Customizing the software to fit our workflow was one of our most difficult tasks, however, it was not impossible and we were able to implement it successfully. "Good overall solution, somewhat cumbersome and dated interface"
Bulk upload functionality, ability to store saved content, copyfitted content, logo best-fit scaling. Too many repetitive steps to deployment, somewhat inflexible. No ability to retain template level settings besides making copies. No direct access to actually "see" and make global changes within templates (insulated by interface layer), must upload new template every time. Make sure you walk through requirements using a live example, inquire more about features you may want to implement from the get go that will be harder to implement later. Reduced custom graphics work, self service environment has reduced the load on personnel need for role as order takers. Easy access for centralized distribution of materials. If you have the right staff, MarcomCentral is a great option for templated work with variable components. But, it's not as easy to get set up and create the templates as was presented in the sales demo. The complexity of the program. You need the right staff if you are creating variable templates, static templates are much easier to get into Marcom Central. It's all about having the right staff, it's not easy to get running. It's extremely technical and frustrating. We aren't creating as many ad-hock pieces because the project managers can go into MarcomCentral and create their own customized pieces and deliver a pdf to the client. "A lot of empty promises"
The idea of the service they are trying to provide is a good one, but they made a lot of promises during the training period that they ended up coming back and telling us would cost a lot of money to implement. It is poorly implemented and supported. It seems that the site is down often and functionality often breaks for no apparent reason. Make sure to get anything they say they can do in writing in your contract. The ability to allow users to customize their own marketing pieces instead of submitting job requests for each one which in theory would save time for the creative department. The ability to customize marketing assets and the ease of not having to version out each and every creative piece for our restaurants. So far I haven't found anything I dislike. Make sure your creative files are in made in Indesign. That was our only hassle was re-designing them from Photoshop or Illustrator into Indesign. Which isn't hard, but is time-consuming. We are a small but mighty team with only 1 designer. So MARCOM allows us to created beautiful pieces that our GMs can "customize" without taking up our designers time. It also streamlines our entire process from request to printing which makes everyone involved very happy. Simplicity of the portal (easy navigation, search functionality), the ability to have a customizable one-stop shop for all our marketing material across multiple lines of business and the detailed analytics available. The tree branch menu style. Due to the size of our material inventory, the drop-down can go off the page view and if you accidentally move the mouse too fast or incorrectly, the entire menu closes making you have to start over again. Our business model is made up of a number of different business lines and a number of advisors and we realized that a lot of time was being used up by all teams trying to find marketing material and additional costs/time to have our print vendors customize the pieces with specific contact information. Our MarcomCentral portal is the perfect solution - it is our one-stop shop for all marketing material. "I've managed a Sales Collateral portal for more than two years and have had a great experience." I like the availability of our customer relations manager and tech support. Reporting and print capabilities need to be enhanced. Basics are available, but detailed drill-downs to monitor ROI still require excel pivots and vlookups. I would highly recommend someone looking to centralize and organize business collateral to review MarcomCentral's ability to streamline the process. They have a great product, are consistently moving forward with technology, and they work diligently to accomplish customer's needs. Prior to Marcom Central, our sales organization did not have all sales and marketing collateral - continually updated - readily available. "Lots of features but complicated to use"
If you have a fairly standard process/set of processes, this will work well, but if you have a wide variety of projects ensure it can meet all of their needs before implementing. Project management, keeping things moving to get things done. We completed a lot of projects but it was difficult to see inter-dependencies. "Great tool for print automation and custom templating!" The interface UX is a bit clunky. Also think documentation needs to be improved upon rather than having to wait for weekly calls with rep.
Love that team is responsive in filling in gaps or adding to list of future feature improvements to help grow software by listening to customers. Solving problem for small-medium sized communities without dedicated marketing team to help create custom event/sales flyers that are brandable and flexible. "Great platform with creative flexibility!" I love the basis of the platform, but the flexibility that the platform allows. We needed an avenue that allowed us to cater to our complex audience structure. Marcom allows us to do just that. Sometimes, when loading new documents there is a delay in them showing up on the platform. The delay does not seem to be consistent. Sometimes it is only a 5 minute delay and other times a full hour goes by before the products are visible. 24/7, immediate availability of content. We have increased efficiency significantly. There is a need to access marketing material from the road, or a meeting. This lets contacts download it and use it. Another would be requests coming to marketing team to have material printed, this would make the process more efficient. "Great product with great features." I like the continuous improvements that Marcomcentral makes to it's products. They listen to their customers and strive to give them what they are looking for. I dislike the costs and how costs are distributed. Some of the amazing features come with a hefty price tag and working for a nonprofit those features are often out of our reach. "More robust than I had thought"
I love the ability to create templates for our sales force that takes the weight off of my shoulders as a designer while still giving them items that are personal to their region and look like it was made by our creative team. The UI on the back end can be a bit clunky, especially for template creation. We have solved the issue of our design team being overwhelmed with requests coming in for items that are now available in template form. "Amazing capabilities for all users in the organization. " I love that we are giving the operators the opportunity to make quick edits and get their materials faster. Some of the admin tasks are tedious and require lots of details from our vendor partners. This is a very robust tool. It has a lot of capabilities to customize for the end user and help make shipping efficient. Reducing design & production time and getting products into our managers hands sooner. More cost efficient. The ease and simplicity behind it all. I think our franchisees will be very excited when we go live with this product. There is not too much I find to be wrong with this software. However, I am not deep enough into it, to provide something that concerns me. 3. an easier solution for franchisees to get what they need at a much faster rate. I dislike the email notification layout and that it is not customizable. I also don't like that you can't hide the pricing grid on no charge items without removing the add to cart option. We are solving the problem of not having our marketing material available in one place for our sales team. * We monitor all MarcomCentral reviews to prevent fraudulent reviews and keep review quality high. We do not post reviews by company employees or direct competitors. Validated reviews require the user to submit a screenshot of the product containing their user ID, in order to verify a user is an actual user of the product. Hi there! Are you looking to implement a solution like MarcomCentral?